My DIY Contouring & Highlighting Journey – Why Not DIY? I am on a quest to be able to beat my face to the GAWDS honey! So that includes mastering the art of contouring and highlighting. I feel like I am just missing something…the umph! I have watched just about every YouTube video out there on contouring. I feel like I am not seeing the results that my favorite YouTubbers are seeing. what in the world am I doing wrong. Disclaimer: I am not a professional makeup artist, nor is this a beauty blog. So that is why I will not be doing a walk-through tutorial on how to contour and highlight. I would like to share the products and techniques used. Remember I just mentioned that I am on a journey…a journey I want to share with you. This morning I had like 2 extra minutes so I decided to take a stab (definitely not my first try) at the elusive beat that is contouring. 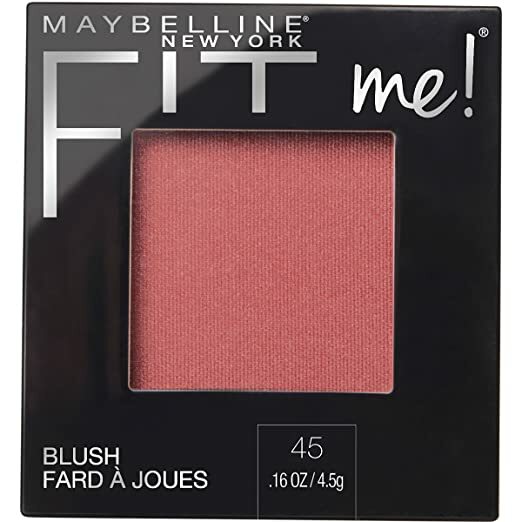 So I began with my normal Maybelline FitMe in 322 matte + poreless foundation and blended with a blender sponge. That’s the easy part, I can do that in the car, while eating. I literally have, please don’t call the police. Now it time for me to highlight. This entails applying concealer about two shades lighter than my color under my eyes, between my eyebrows, and small portion on my chin. Some of my makeup gurus on YouTube apply the bridge of their nose. I do not wish to contour my nose because I don’t want it to look different, I like my nose lol. No shade to those who do, it’s just a personal preference of mine. I used the L.A. 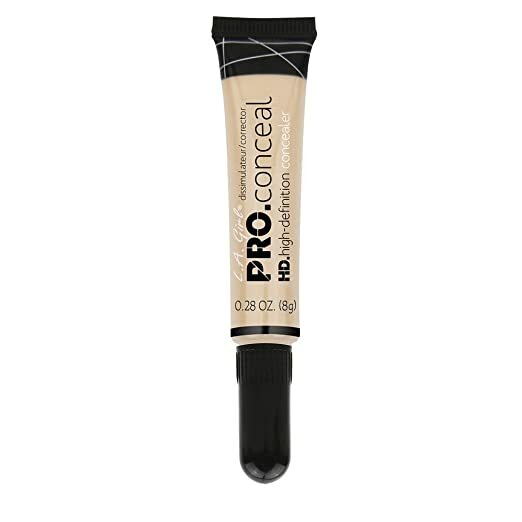 Girl Pro Conceal HD in Ivory. 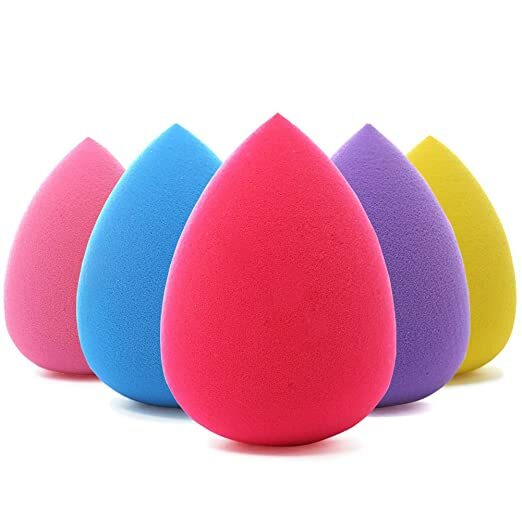 With a different moist blender sponge (simply run it under somewater and give it a couple of squeezes) I blended the concealer. To stop creasing from happening and to ensure the longevity of the makeup under the eye, one must “bake” or set their concealer. 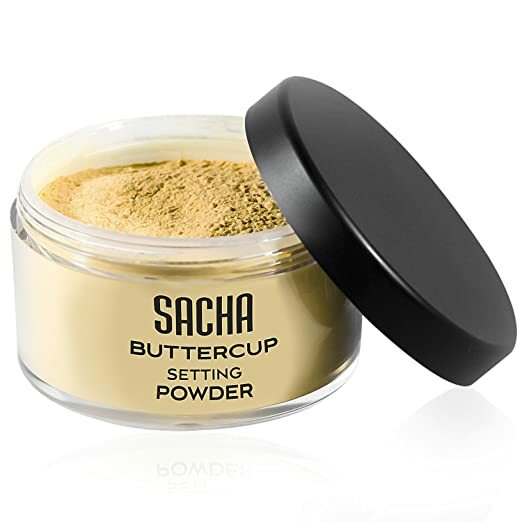 So I invested in this awesome setting powder Sacha Buttercup Powder in Buttercup Light. I Love this stuff. I use it to set my whole face as well, but that’s at the end. The baking process happens when you let the powder sit for about 10 mins. It is then wiped off with a brush. Note: the lighter color in the image is where you would apply the concealer in the previous steps. You are welcomed to do both the contour and highlight at the same time if you wish then blend it all out. I haven’t made it that far in my journey. So I know what you are thinking, how did it turn out. I will first share with you a picture of me today at my desk. This is under ugly florescent lights. Please excuse my hand, i have no idea what it was doing. To me this picture is fine but I think I figured out what I was missing, why I wasn’t achieving my ItsRayeRaye makeup goals. I figured that before left for work I would take a couple of shots on my cell phone in my DIY photography studio in my den. Soon to be used for filming more great DIY tutorial, NOT MAKEUP TUTORIAL lol. Since I am not a beauty vlogger, I do not have a wonderful and awesome tutorial video. I will leave you with a helpful video from none other than ItsRayeRaye! And as usual like and subscribe! Thanks for stopping by! Now you ask Why Do It Yourself? Pingback: The Ugly Side of DIY – Why Not DIY?